With your iOS device, MobiLinc, and the Advanced Locations plug-in, add location awareness intelligence to MobiLinc, Apple Watch, and your Today View! 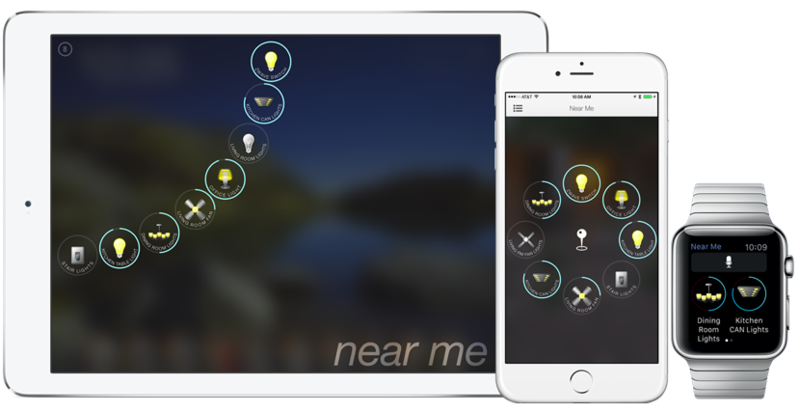 Advanced Locations add great new features to your geo-fences and iBeacons! Featured by the popular Estimote iBeacon company! Support for any iBeacon to enable MobiLinc to understand where you are in your house or business. Setup is similar to geo-fencing where you can optionally have MobiLinc update an ISY variable as you move in and out of your iBeacon range. Associate any device, scenes, or program to an iBeacon or geo-fence status (inside or outside) so that MobiLinc, Today View, and Apple Watch are contextually aware and can dynamically show you the items you are interested in based on your location when you are home or away. We call this "Near Me". Setup notification triggers based on entering/leaving an iBeacon or geo-fence location. All notifications are now actionable right from Apple Watch or the Notification center. No longer necessary to find and open MobiLinc to issue commands. All notifications based on a device status will also attempt to include the associated IP Camera image on the Apple Watch dynamic notification. For more information see the Extended Screens plug-in. Example 1: View the status and control devices, scenes, and programs around you on the Near Me view of MobiLinc, Today View, and Apple Watch. 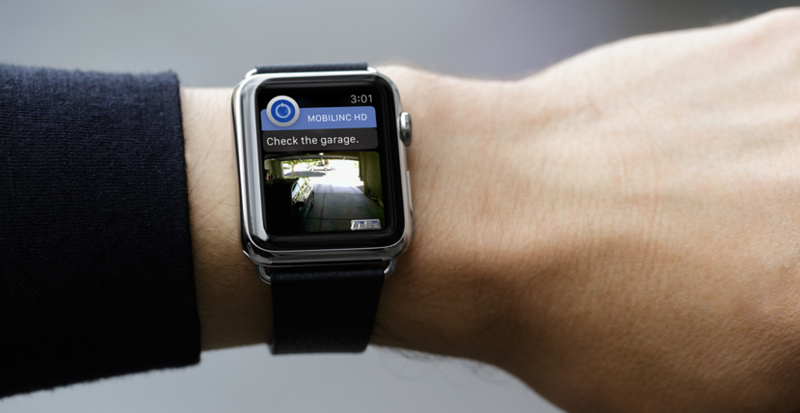 Example 2: When walking up to your front door, get a real-time notification asking if you'd like to unlock the door. Example 3: Have MobiLinc issue a notification trigger based on leaving your geo-fence but only when your garage door is open. 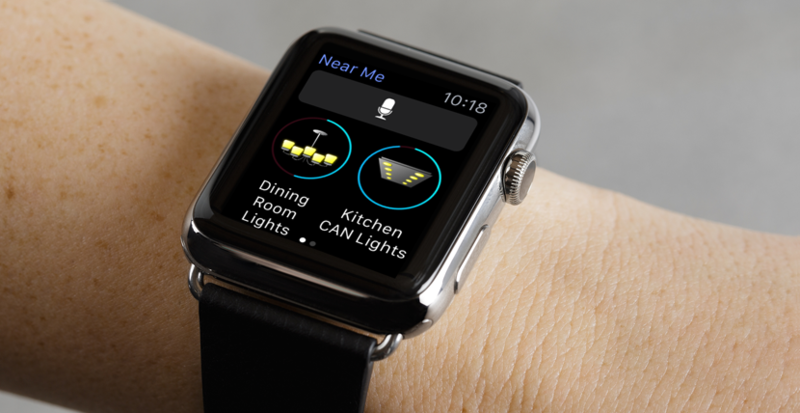 Tap "Close" from the notification on your Apple Watch or iPhone to close the garage. Triggers are not only location/iBeacon aware they are also status sensitive as well to only trigger in the right context. Or if you are connecting to your ISY via a direct IP, the Advanced Locations plug-in fully supports this as well. Open MobiLinc and go to Settings->iBeacon Settings->Add iBeacon. Open MobiLinc and go to Settings->Location Settings and tap the "+" button to add a new geo-fence. To configure, select your device or scene under Devices or Scenes and scroll to the bottom and select "Extended Screens". Then, tap "Associate with iBeacon" or "Associate with Location". There are several options here to include the item on the "Near Me" view when you are inside or outside of the location or to be notified on location change and the item is a certain status. To configure a program go to Programs and select your program. Scroll down and select "Extended Screens". Then, tap "Associate with iBeacon" or "Associate with Location" and select which part of the program you would like to run when the program widget is tapped in a "Near Me" view. There are several options here to include the program on the "Near Me" view when you are inside or outside of the location or to be notified on location change. - Drag the screen from left to right to expose the menu. - Tap the top, middle icon (the one with a number in a circle) to get to the "Near Me" page. - Tap the top, left icon (the one with a number in a circle) to get to the "Near Me" page. This will only appear when there are items that are near you. - Items that are near you will have a small circle emblem added to their icon. - Swipe right to get to the first page on the Apple Watch. These are the items near you. MobiLinc's Advanced Location feature set is available to for all ISY users with a direct IP or an active MobiLinc Connect subscription running MobiLinc HD, MobiLinc Pro, or Orchestrated MobiLinc on Apple iPhone/iPad iOS 12+ devices.